I just bought the most AMAZING Hanging Basket! Now what? 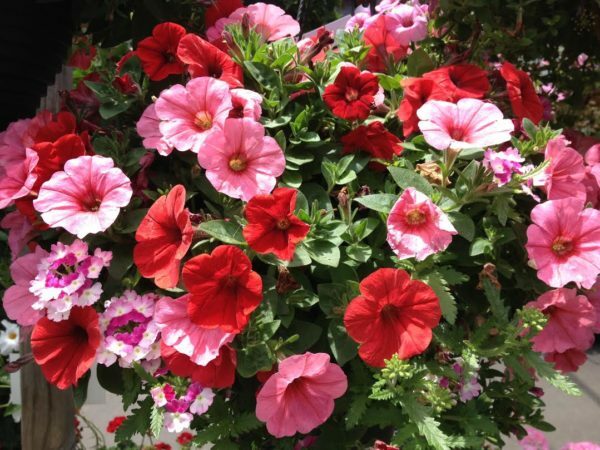 Follow these tips to keep your hanging baskets and planters healthy and blooming all season long! You’ll need to water them about once a day, maybe even twice on hot summer days. The basket should feel heavy (about 8-10 lbs) after it is fully watered. A good way to make sure you’re watering enough is to fill with water all the way up to the top, let it drain, and water to the top again. NOTE: Some plants are especially drought tolerant, such as Flowering Vinca, Portulaca, and Scaevola. These do not need nearly as much water, and they’re a very good choice if you know ahead of time that you cannot water daily! Do I need to prune them at all? 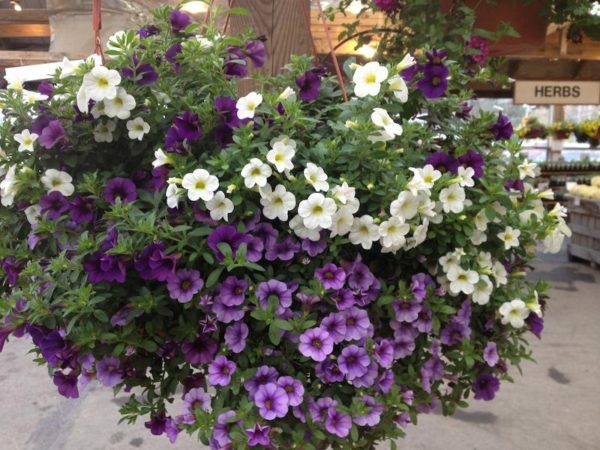 In general, our baskets do not need deadheading or pruning in order to keep blooming regularly. However, if you are able to pinch spent blooms throughout the season, you will have a healthier and more rounded plant. Geraniums, especially, benefit from deadheading and with these it’s not much trouble to do. Should I fertilize them at all? 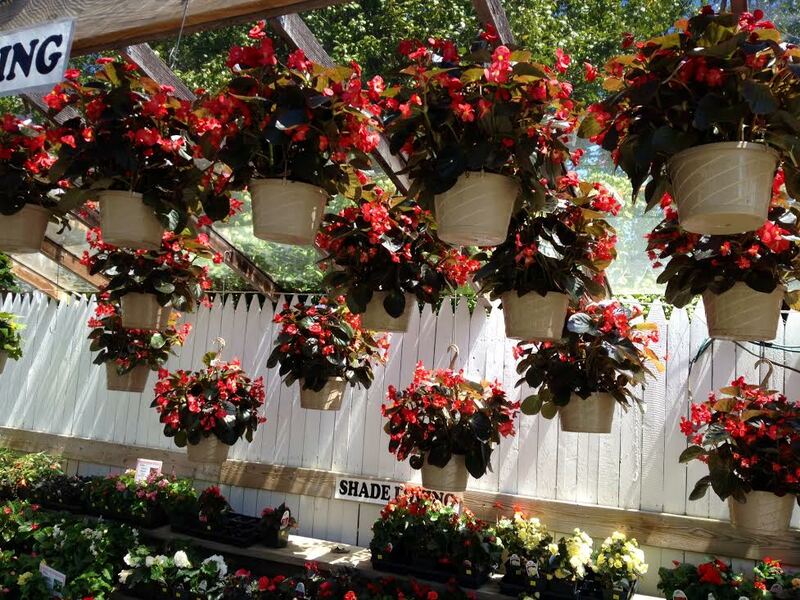 To keep plants healthy and flowers blooming, your planters will need some additional fertilizer throughout the season. But don’t overdo it! Too much fertilizer can burn roots, damage plants, and even stop them from flowering! We recommend adding fertilizer to your water every two weeks or so to keep plants green and flowering. 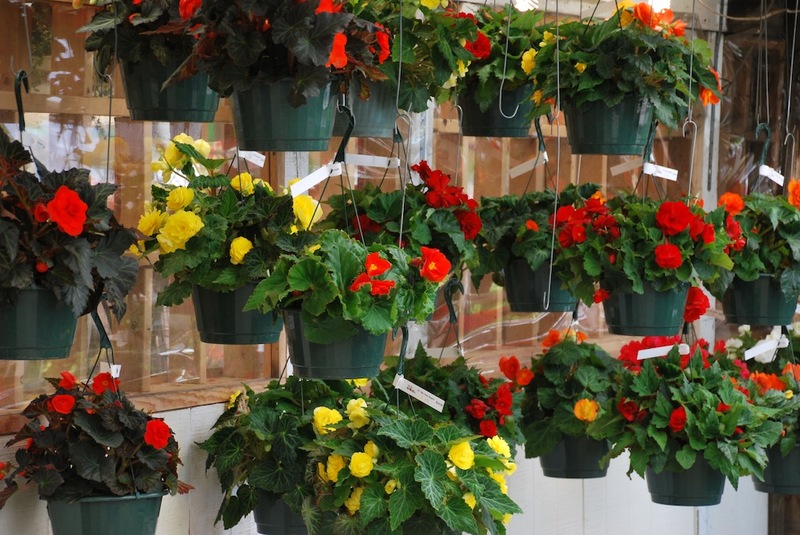 Use your favorite fertilizer, or buy natural and organic liquid fertilizers at Wolff’s! I’m going away on vacation! What should I do? Ideally, you would get a “plant-sitter” to water for you while you’re away. 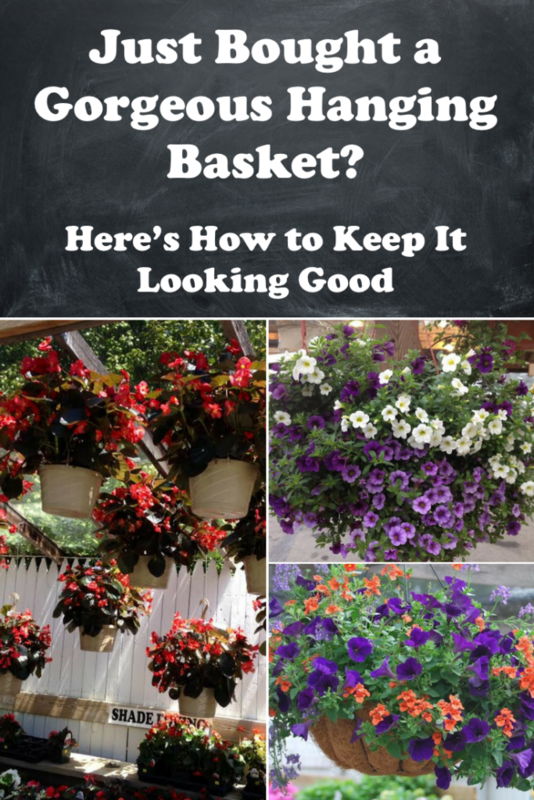 If this is not possible, here’s the second best solution: Take hanging baskets off their hangers and set all your plants down on the ground in a shady spot. Give them a thorough watering before you leave, and most plants should last a week in that condition. Resituate them when you get back. Their flowering may be reduced at first, but soon they will return to their blooming state. If your plants have gotten large and overgrown, right before vacation is a good time to trim them back and remove some excess growth! If you are going away on an extended vacation, that might be a reason to get one of the more drought tolerant options. ← An Awkwardly Large Yet Delicious Sandwich: Toasted Egg & Tomato.